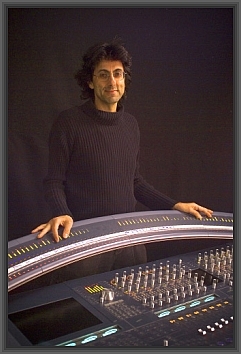 Affectionately known as “Stav” throughout the industry, this sound balancing engineer has had an amazingly blessed life. Over his almost 40 year career, Stav has had the honour of working with Paul McCartney, Queen, Stevie Wonder, Elton John, America, Bryan Ferry, Cat Stevens, Crowded House, David Bowie, Diana Ross, Jeff Beck and classical guitarist John Williams, to today’s artists such as John Butler and Alex Gibson. He has also had the privilege of working with some of the best producers in the business such as George Martin (Grammy Award winning Producer, The Beatles), Paul Buckmaster (Grammy Award winning Producer, Elton John), Chris Thomas (Pink Floyd, INXS) and David Kershenbaum (Duran Duran, Joe Jackson), Richard Perry, as well as the multi-award winning composer/conductor Marvin Hamlisch (Composer – Emmy, Grammy, Oscar, Tony, Pulitzer Prize awards). “I was struck by his quiet and modest way of going about his tasks.